Best Buy said Bye to the UK. Why? In our previous post we have discussed the fact that it can be sometimes challenging for Western companies to grasp Chinese cultural differences. These challenges are, however, not exclusive to China and can often arise even when you expand to a seemingly less mysterious country. This will be obvious after analyzing a story of an American electronics mega-store Best Buy and its failed attempt to enter the UK market. 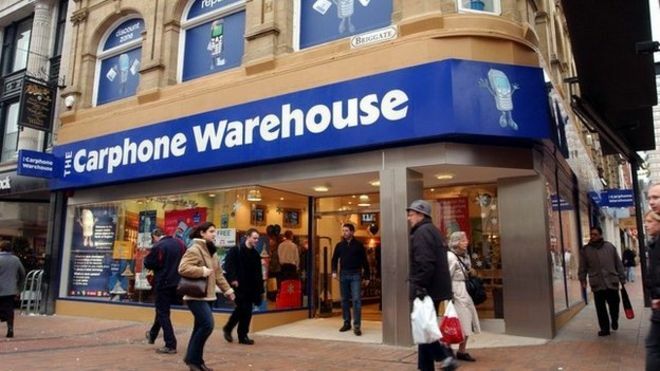 Best Buy Entered UK market via joint venture with Carphone Warehouse and closed its operations after 18 months. Let’s see why. Brand identity is generally a good thing. Companies with a strong brand identity can use a so called “country of origin effect”. In a nutshell such an effect means that a company can use its country´s of origin strong reputation on the field the company is operating in. This is because the brand of the company will be associated with the reputation of the country itself. For example – Audi, BMW, Mercedes – all of them have German Car aura surrounding them. Undoubtedly, this effect helps to sell more vehicles, which means it is beneficial to the brand. This is partly because their reputation came to be, thanks to the quality and outstanding characteristics of German autos. There is also another way to use the country of origin effect – to highlight the company´s purpose. This is exactly what Best Buy did in Britain. From the very beginning it positioned itself as an American store. But unlike Audi or BMW, such branding didn’t quite resonate with local shoppers, and with comments such as “Why so American?”, it was clear that Best Buy´s branding was not well received in Britain. Best Buy positioned itself as a mega-store, meaning that you can shop for pretty much anything electronics-related. This ultimately meant that their stores had to be situated out of town due to their huge size, which was its first major mistake. The UK doesn’t have such a vast territory as the US does. Naturally, with a smaller territory, businesses have a tendency to situate themselves closer to their customers. This meant that the Uk customers were not used to drive out of town just to shop. Another Best Buy´s mistake was its assumption that the Brits buy electronics as often as the Americans. This was however not the case as the Brits purchase new electronics only several times a year, whereas Americans do it way more often. UK’s electronic market is not as big. With 2 big players already there (Comet and Dixons) there was hardly space for another one. Moreover, local competitors were operating hundreds of stores, when Best Buy had only 11 out of 200 planned (which were again past city line). On top of that, American retailer has announced its plans in advance which gave its rivals time to prepare. As we can see, foreign expansion remains to be a difficult task, no matter which country you decide to enter. Even if seems like there are no huge differences between countries, differences may often appear when its too late. Thus, proper cultural analysis should be done long before the expansion and should be as thorough as possible.